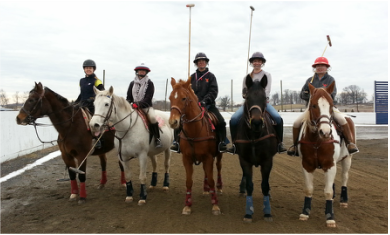 The Red Eagle Polo Training Center includes a professionally managed polo instruction program that caters to discriminating individuals who truly seek to develop as polo players. Polo school graduates move on to become rated players and participate in club matches and USPA-sanctioned tournaments. Beginner, intermediate, and advanced polo players alike have found that the Red Eagle program provides the level of quality and personalized instruction that brings out the best in any competitor. We carefully match-up players in each class according to skill level to ensure the best possible experience. After completion of the clinic you are ready to join in our weekly lesson program. Our regular classes reinforce the basics of the rules, strokes and the strategy of the game. 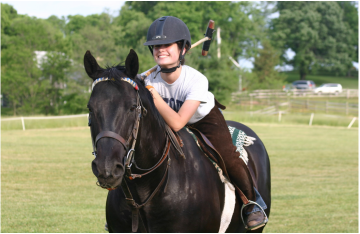 With increasing skill levels, students progress to our specially scheduled student games and eventually purchase horses. At the Red Eagle Ranch a strong grounding in polo fundamentals, backed up by hard-hitting field experience in spirited scrimmages with other students and instructors turns determined riders into rated players. Your training program typically begins with attendance in one of our clinics. In our clinics you'll receive intensive instruction and analysis of your riding, swing and understanding of the game. The clinics ensure that new players are ready to hit the polo field with a good understanding of the fundamentals and the rules. 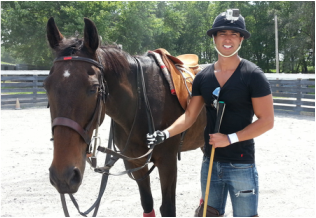 Polo lessons at the Red Eagle Ranch are fun and the environment is addicting! Your development process from beginner to rated player is carefully guided by Mary. Our instructors enjoy teaching as much as playing. Students routinely arrive early and hang around after to socialize and discuss the day's play. You will too! We look forward to receiving your call soon and welcoming you to our outstanding polo training program and facilities. 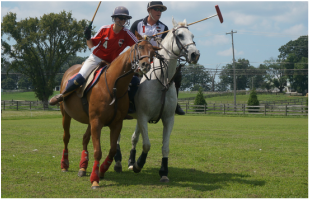 Samantha Brown of the Discovery Network's Travel Channel joins Mary for a polo lesson.